ABA website, uses case and statutory law and other legal precedents to separate legal fact from fiction. Compilation of fake news sources by Melissa Zimdars, assistant professor of communication & media, Merrimack College. Wikipedia describes itself as "the free encyclopedia anyone can edit." Read Wikipedia's ever-growing list of disclaimers--"Wikipedia Makes No Guarantee of Validity." It's not a good idea to rely on the information you find here--you can use it to start your research, but never quote from it in a research paper. Who is the author? Do they have a hidden agenda? Does the website purport to be objective? Advocacy group websites can be a valuable source of information, but you should question the information if they hide who they really are. What is the date of publication? When was it last updated? Do they cite reliable sources? If you have to sign up for a free account, what do they do with your information? University of California Berkeley library presents techniques to use and questions to ask when evaluating web pages. NIH guide to evaluating health and medical websites. Guidelines are intended to help members of the general public assess law-related websites. They identify some of the issues to consider when deciding whether a website provides trustworthy and up-to-date information, suitable for a particular law-related information need. The CRAAP Test is a list of questions to help you evaluate the information you find. Different criteria will be more or less important depending on your situation or need. From Meriam Library at California State Library at Chico. 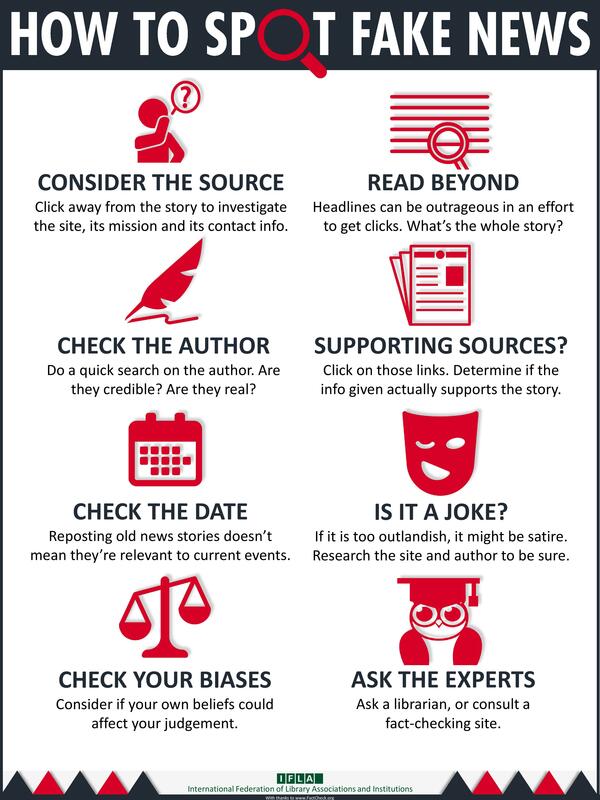 Use this checklist from the National Library of Medicine to evaluate any website. It includes a link to a tutorial on evaluating websites.